Indicate whether you're subscribing the user to a Course or a Domain from the Entity type dropdown. 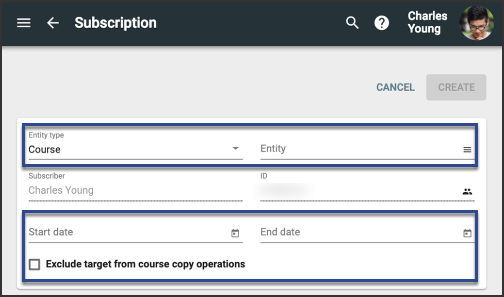 Select the Course or Domain in the Entity field. You can also use this screen to manage existing subscriptions.